Welcome to the heart of the congressman’s Texas district, where federal spending has quadrupled since 1999. On a gritty street in Galveston, Texas, a few blocks from the Gulf of Mexico, stands a prime example of the largesse of Republican Rep. Ron Paul. 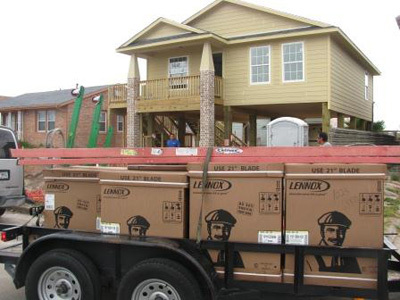 Workers here are putting the finishing touches on a new home, one of about 180 that will be built, at taxpayer’s expense, for residents who lost their abodes to Hurricane Ike back in 2008. As a libertarian, Paul says he opposes federal disaster relief, but one of Paul’s staffers told me that his office has shepherded hundreds of FEMA claims, ensured the reconstruction of the county’s seawall, and won federal funding for an extensive beach nourishment project. Indeed, between 1999 and 2009 (the most recent year available), federal spending in Galveston County quadrupled to more than $4 billion. In 2009, the county received $14,707 per resident, topping average per capita federal spending in 46 of the 50 states. Paul earmarked some $60 million for projects in and around the city that year. For Paul’s would-be successors, inhabiting his political wheelhouse is about as desirable as living on Saturn. 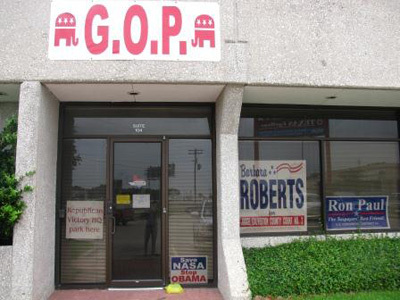 None of the Texas Republicans vying to replace him in Congress—school administrator John Gay, politically connected attorney Michael Truncale, and state legislator Larry Taylor (who on Wednesday announced he would drop out of the race)—consider themselves libertarians. When I met Truncale at a GOP social hour at a yacht club in Kemah, an affluent resort town on Galveston Bay, he told me that a number of Paul’s positions “may be a bit extreme for me.” And Gay gripes that Paul wants to shrink government to the point that it’s “almost like no government.” In fact, nobody I met at the club described themselves as full-fledged Ron Paul supporters. “He’s just not that popular around here,” says a resident of Paul’s old neighborhood.